This entry was posted in General Election 2017 and tagged General Election 2017, Opinion Polls by Rik. Bookmark the permalink. 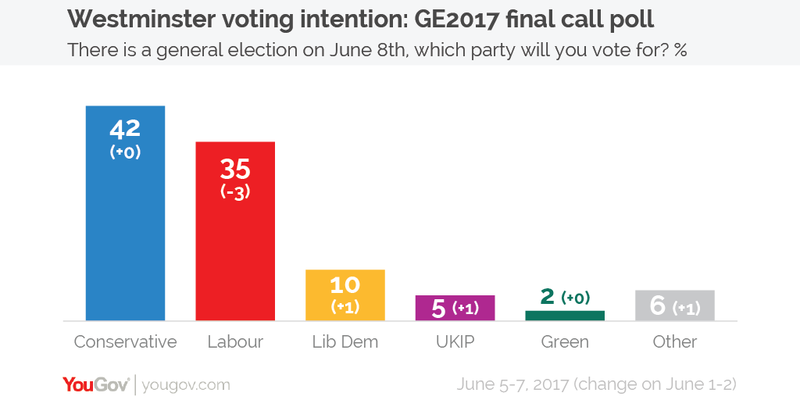 Some 10 Polling Organisations have final polls out today with results that vary from Labour leading by 2% to the Tories leading by 13%. the exit polls say YouGov got it very wrong. To clarify, YouGov used 2 different methodologies, one gave figures close to the actual result, the other didn’t. Your headline is the one that didn’t. Overall, Survation came closest – as they had done in 2015. 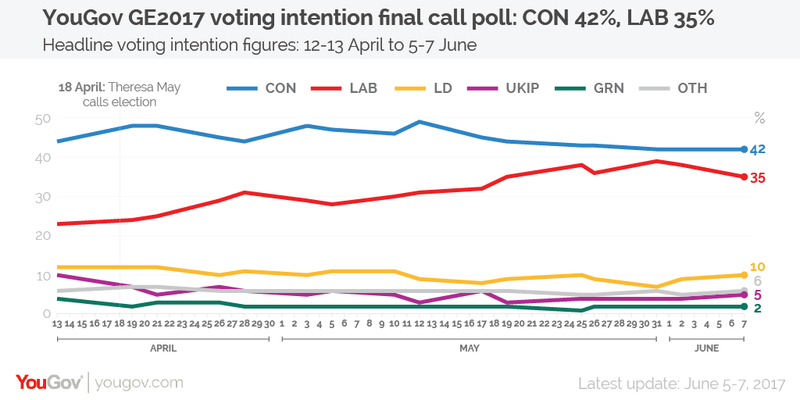 Today’s Survation/Mail on Sunday poll (10 June) has Labour on 45%, Tory on 39%. Interesting!